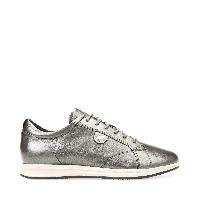 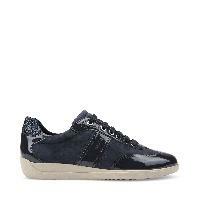 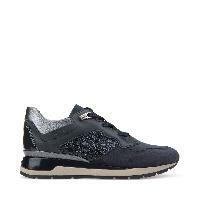 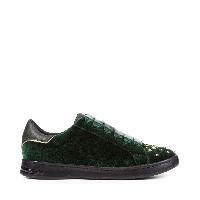 These Myria women's trainers come in navy blue suede and patent leather with glittery inserts. 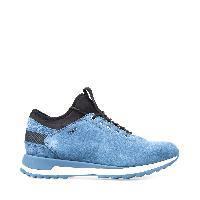 They are sure to be your best friend in your pursuit of well-being in your everyday life. 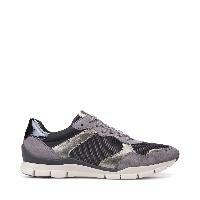 Oh-so easy to pair, they feature the iconic Geox-patented perforated sole that ensures the highest levels of breathability, which is heightened by the perforations on the upper. 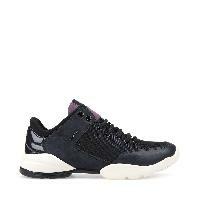 Versatile and multi-purpose, they have a 10-mm internal insole that provides support and comfort, while the rubber tread offers grip and durability.